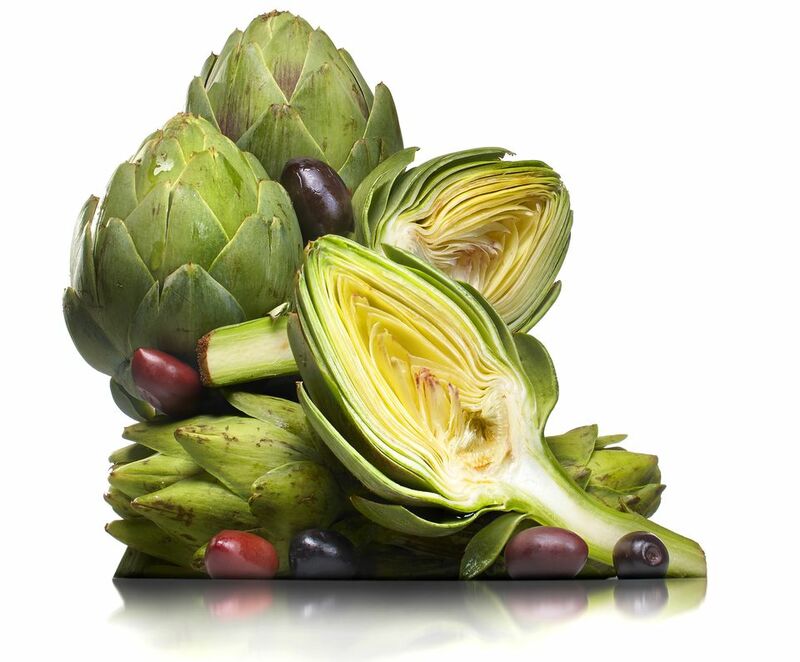 To a novice, a fresh artichoke doesn't necessarily look like an edible piece of produce. Native to the Mediterranean region, artichokes are thought to be one of the world's oldest foods, appearing even in Greek mythology. These days, artichokes are mostly grown in California, with more than 80 percent of the domestic crop coming from "the artichoke center of the world," Castroville. Artichoke hearts are also available canned and frozen for time-challenged cooks, but they're much different than a fresh version. Before you can learn how to enjoy eating an artichoke by scraping off the soft, creamy flesh on the bottom of the leaves, you have to learn how to pick out a fresh artichoke and store it properly, so it's ready to go when it's time to cook. In the U.S., you'll probably encounter globe artichokes more often than any other kind. Although they are available year-round in most markets, prime season is from March to May with a smaller secondary season in October and November. When shopping for artichokes, select globes that are deep green with a tight leaf formation that feels heavy for their size. The size of artichoke that you choose is up to you, but consider that the bigger the artichoke, the longer it will take to cook. Size has little to do with quality or flavor. Small artichokes are just a smaller bud. One plant can produce up to 30 chokes of different sizes. When picking an artichoke, a good test of freshness is to press the leaves against each other. This should produce a squeaking sound if it's fresh. If the artichoke is spongy, it's old. Extremely hard outer leaves and those that are opening or spreading out mean the artichoke is old or over-mature. Browning of the tips can indicate age, but can also indicate frost damage. Aged, dry artichokes should be passed over, but those with a little frostbite on the tips are considered the best by many. Because you don't know how long an artichoke has been sitting on the grocer's shelf, it's best to use them the same day as purchased. However, that's not always reasonable, so fresh artichokes can be kept in the refrigerator for five to seven days. Before you store it, though, slice a sliver from the stem, sprinkle that stem end with water, and wrap it up in a plastic bag. If you want to save the artichoke in the freezer, it has to be cooked first. Freezing it raw will cause it to turn brown, as well as suffer in taste and texture. To freeze whole cooked artichokes for later use, drain completely, wrap tightly in foil and pack in plastic freezer bags or another airtight container for six to eight months at 0 degrees Fahrenheit. If you've already cooked the artichoke and want to save the leftovers, that's perfectly fine—just wrap it up and keep it in the fridge for up to five days. It can be reused in egg dishes, tacos or pasta recipes.